This entry was posted in AM/FM Regional, B - ROCK, Personalities, Radio station, Uncategorized and tagged 2013, Aircheck, B -Rock, Bathurst, Bennie Hope on April 22, 2014 by andrew. 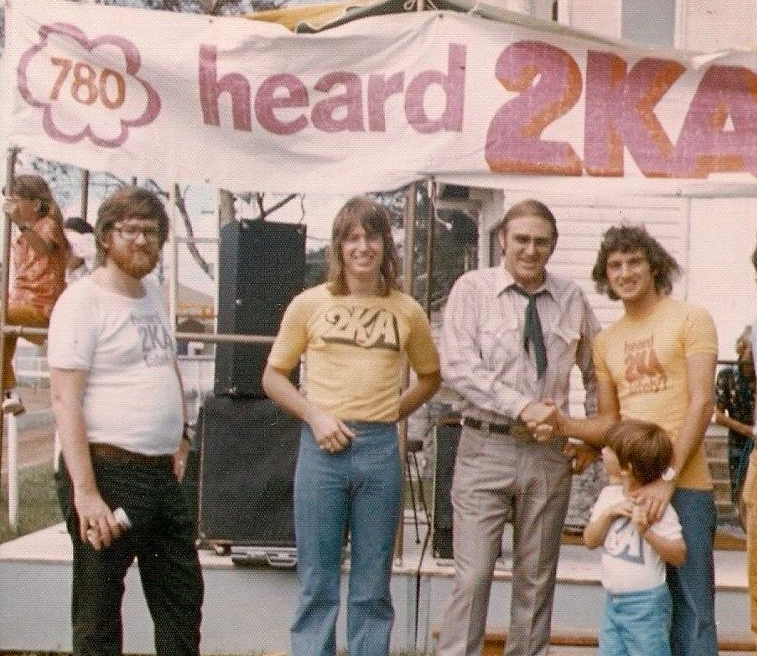 This entry was posted in 70's radio, AM/FM Regional, Historic radio, Imaging, Jingles, Radio station and tagged 1480 2KA, 2KA, 70'S, Imaging, Keith McGowan Tribute, Penrith 2KA on January 10, 2014 by andrew. This entry was posted in 70's radio, AM/FM Regional, Historic radio, Imaging and tagged 1974, 2KA, Country format change, Imaging, Keith McGowan Tribute on January 5, 2014 by andrew. This entry was posted in 70's radio, AM/FM Regional, Historic radio, Imaging, Radio station and tagged 2CH, 70'S, Easy 1170, Good Music, Jingle, Sydney radio on September 6, 2013 by andrew. This entry was posted in AM/FM Regional, Personalities, Radio station and tagged 6IX, Aircheck, Final shift, Perth radio, Ted Bull on August 8, 2013 by andrew. This entry was posted in AM/FM Regional, Historic radio, Imaging, Radio station and tagged 4GG, 60'S, Jingle, station idents on May 14, 2013 by andrew. This entry was posted in 70's radio, AM/FM Regional, Radio station and tagged 1978, 7AD, Aircheck, Announcers on March 18, 2013 by andrew. This guy went on to be part of the “Geoff, Tony and Bob” phenomenon at 4BC” and from the Radio Facebook page thanks to P.S. ” That name rings a bell. Wasn’t he the Tony of the “Geoff, Tony and Bob” team at 4BC in the sixties? Also wasn’t the (Alberts co-owned) 4SB mostly on relay from 4BC at the time? Maybe this program came from a studio at 4BC – just like 4AK’s Breakfast& late Afternoons (we’d call it Drive now) came from Studio 5 – “the 4AK Studio” at 4BK at the time. The Geoff was Geoff Atkinson, and the Bob was originally Bob Smith (I think) and later Bob Wills (Wilks). This entry was posted in AM/FM Regional, Historic radio on March 3, 2013 by andrew. This entry was posted in 70's radio, AM/FM Regional, Jingles, Personalities on November 4, 2012 by andrew. This entry was posted in 5KA, AM/FM Regional, Personalities, Radio station on October 31, 2012 by andrew.